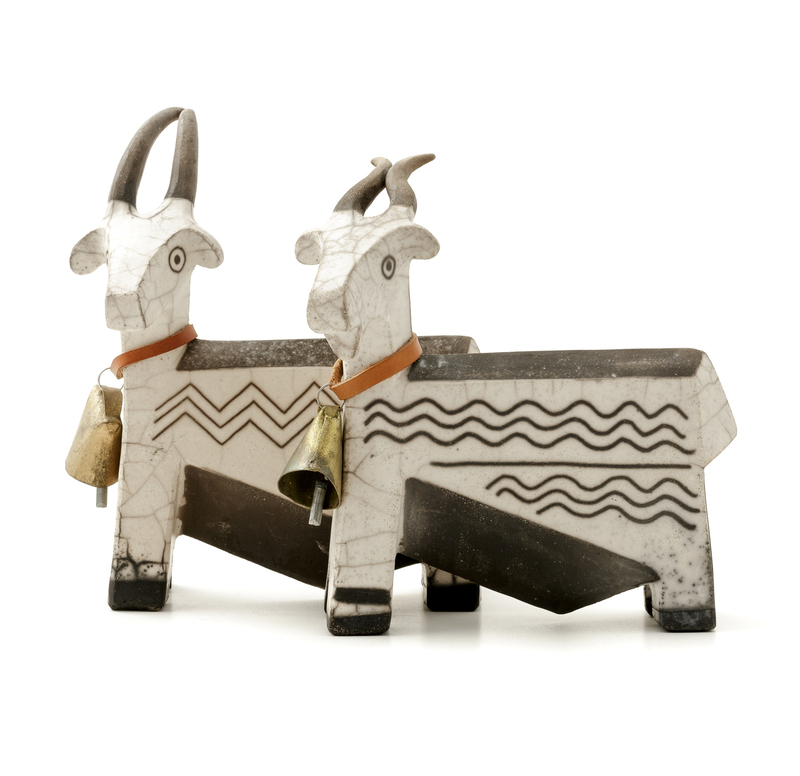 The refined small goats sculptures realised using the evocative naked raku technique have stylised shapes and differing decorations. 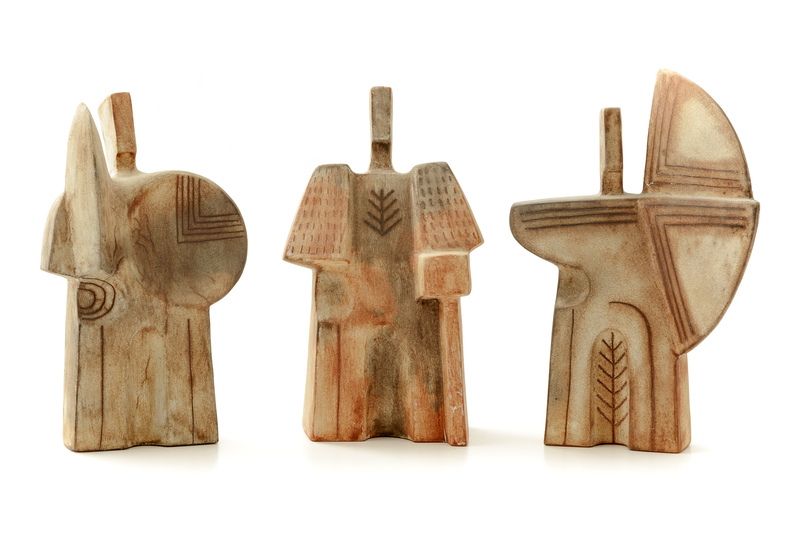 The Alessandro Lai's love for pottery began with a passionate and thorough understanding of the ancient pottery of Sardinia, which led to experience a self-taught colombino (coiling) technique with technical and formal solutions inspired by pre-Nuragic cultures. His artistic studies and his technical expertise allowed him to open his suggestive studio in the center of Iglesias. His personal approach to ceramics is made of theoretical research and practical experimentation. His professional skills are enriched through lathe-forming, while his personal research path led him to experiment the Naked Raku technique, that characterizes some of his most original productions. The productions by Alessandro Lai include both tableware and decorative objects. The "Sa Mustra" collection includes of dishes and containers, lathe-made and characterized by customized motifs, such as lapwings. It also includes objects of refined aesthetic taste: small toy houses depicting picturesque views, barbaricino carnival masks inspired by ancestral rites, refined small goats, panels dedicated to mining architectures. The processing techniques characterize the different collections: the lathe work is dedicated to the dishes, decorated with graffiti, slips, coloured with oxides and coated with unleaded yellow glaze. 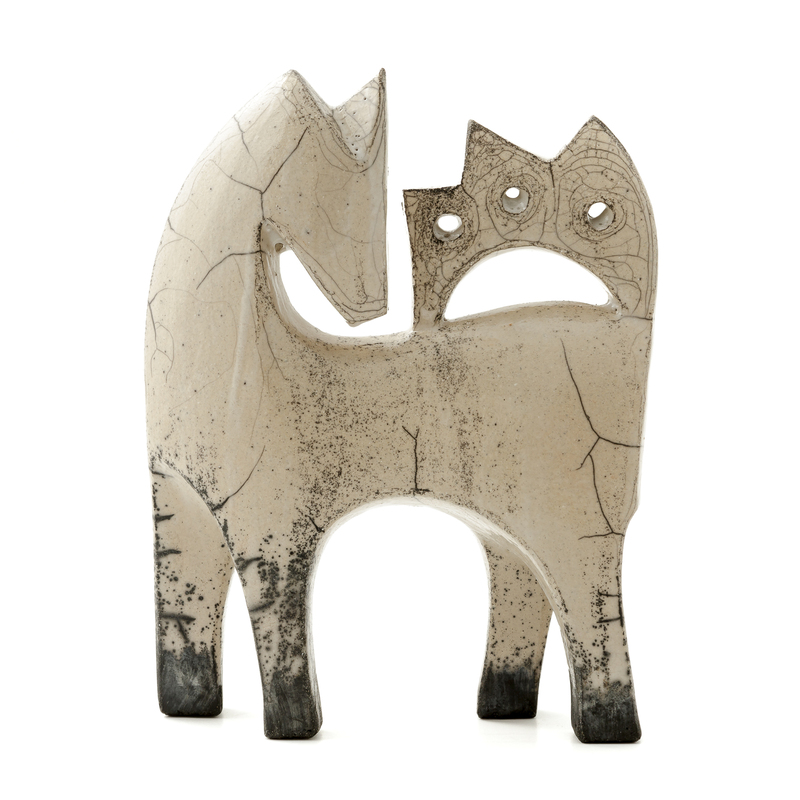 The Naked Raku technique, through the implementation of specific technical actions, creates interesting effects of light and shade, applied to goats and decorative tiles, while the houses and the masks are shaped by hand and baked in a kiln fuelled with wood.